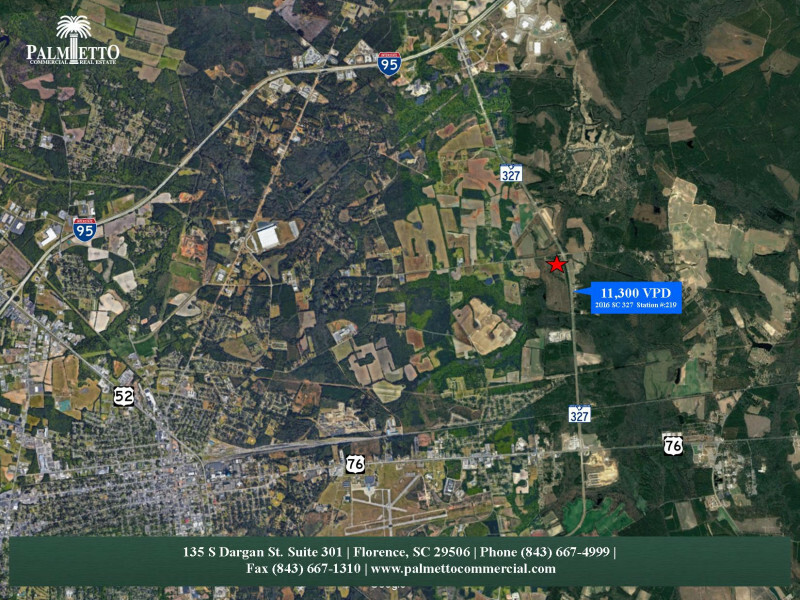 This ± 10.94 acre property is located on the corner of East Old Marion Highway and High-way 327 in Florence, SC. This hard corner lot is approximately 2.9 miles from Interstate 95 and 1.3 miles from the Country Club of South Carolina. 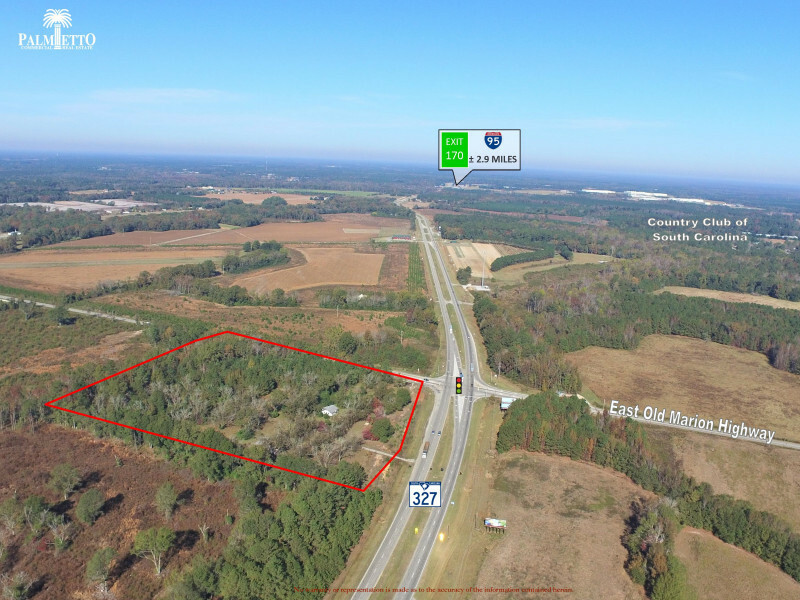 With ± 750’ of frontage and high traffic counts, this parcel is an excellent location for highway commercial development.